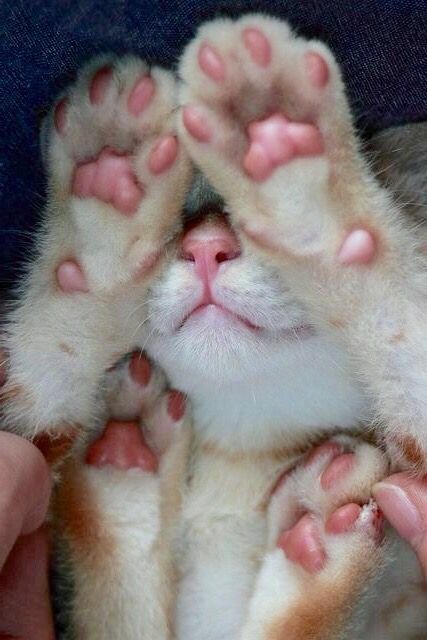 All cat lovers are familiar with toe beans, the little jellies that adorn the bottom your fur baby’s paws. 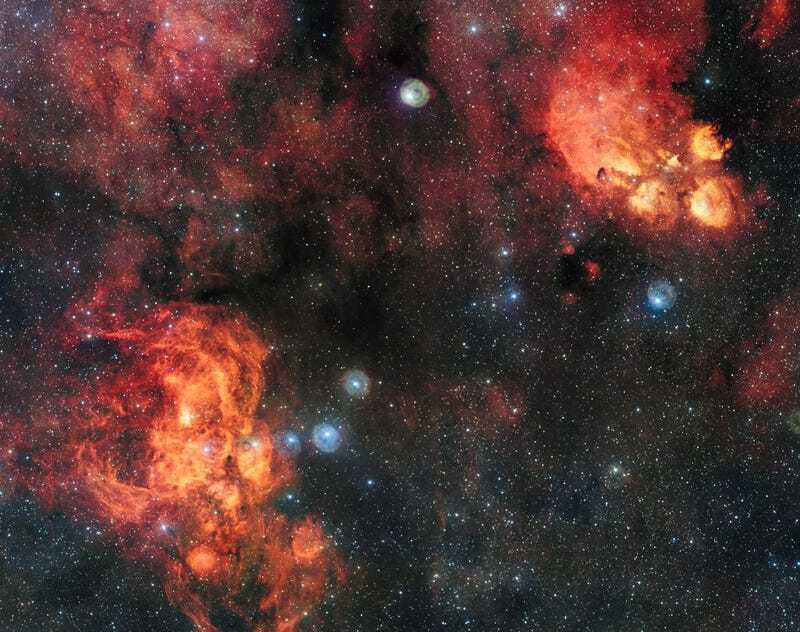 If you, like me, love kitties and space—ideally kitties in space—you’re guaranteed to geek out over the latest image from the European Southern Observatory (ESO), which captures the Cat’s Paw Nebula like never before. Those galactic toe beans are unmistakable! The image also shows the Lobster Nebula (lower left), located in the constellation of Scorpius, like the Cat’s Paw (upper right). While it’s not as cuddly as its cosmic neighbour, the Lobster Nebula certainly lives up to its namesake with its unique shape. The lobster’s “claw” and the cat’s “paw” are active star-forming regions, where stellar birth and fusion produces vast clouds of hydrogen gas, mixed with other elements like helium, carbon, and oxygen. The darker areas that can be seen in the photo are mostly cosmic dust, mixed with molecules like carbon monoxide. Though the nebulae have been photographed before, the new image—taken by the 256-megapixel OmegaCAM camera at the ESO’s Very Large Telescope in Chile—is the most detailed ever. While it’s tempting for cat enthusiasts—and lobster fans—to want to jet off to these nebulae, please note that they’re 5,500 and 8,000 lightyears away, respectively. Just enjoy the kitties (and lobsters) here on Earth.